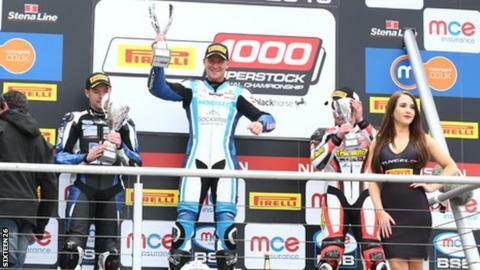 Fermanagh rider Josh Elliott is to defend his British Superstock 1000cc title on a Tyco BMW next season. The 21-year-old saw off a strong challenge from fellow Northern Ireland rider Alastair Seeley to secure the crown at Silverstone in October. Toomebridge man Michael Laverty will be joined in the team by Christian Iddon for the British Superbike Championship. Ian Hutchinson will contest the three main international road races, plus the British Superstock series, on the BMW. "I'm over the moon to be joining Tyco BMW for next season, especially after getting to see the strength of the package first hand this season while battling with Alastair," enthused Elliott. "Even though I won the championship this year, I was constantly thinking to myself what more I could have achieved on the Tyco BMW package as I felt I had to ride that extra bit harder to deliver results. "I've always looked up to the TAS Racing team over the years so to now be part of the set-up is fantastic."